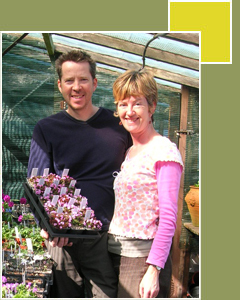 Our gold medal winning alpine nursery is one of the UK's top five specialist growers of Alpines. Our passion is the tough plants that flourish in our Yorkshire garden… and therefore should in yours too. We're situated at 900ft in the Pennines, with an average yearly rainfall of 1200mm and have lost count of the number of times visitors have exclaimed “If it'll grow up here, it'll grow anywhere”. 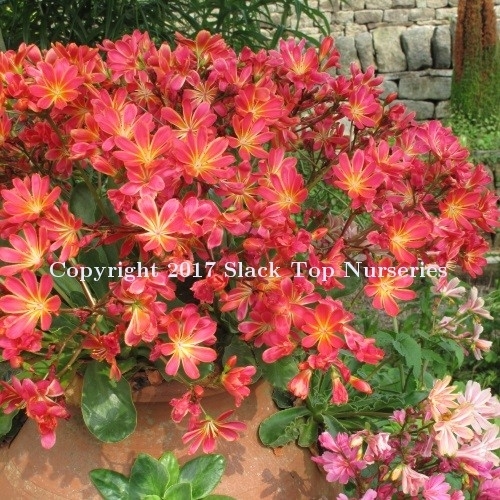 Come and be inspired… either via our mail order list or by visiting us at the nursery. Whether you're a beginner or enthusiast you'll find a wonderful selection of reliable and more unusual plants to tempt you. If you live relatively nearby, come and see them growing in our naturalistic garden, with its interesting planted containers and troughs, rock and scree beds, a 100ft planted wall, woodland planting, ponds and two lovely new crevice beds. Alternatively choose via our mail order shop and we'll deliver them to you with great care and attention. Either way, we look forward to hearing from you soon! Best wishes and happy alpine growing! We are currently open March to the end of August. We accept mail orders throughout the year. You can also visit at other times, but only by prior appointment. If you need to contact us please call 01422 845348 or 07392 856395. 1. Only CASH OR CHEQUE payments at the nursery. 2. We have no public toilet at the nursery, and the nearest one is in Heptonstall village (half a mile). Gold medal winning grower of hardy alpines. Over 35 years' growing experience. Profiled by Roy Lancaster in 'The Garden' (RHS) and on BBC Gardeners' World. 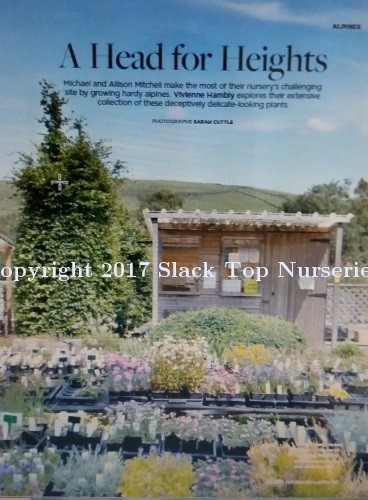 All plants grown on site at 1000ft (not bought in). Our hardy plants can survive temperatures of minus 16 degrees.